On April 30, 1896 in the village of Svedeev in the Ukraine, Nicholas Paul Lewchuk was born. His mother placed a piece of paper and a pen in his tiny hands, for it was believed he would then grow to be a wise and intelligent man. At age 6, in 1902, his family immigrated to the NEW LAND called Canada. 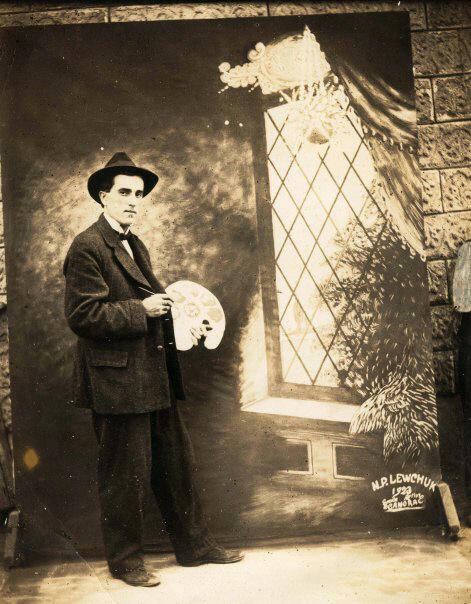 At age 17, in 1913, his future fate rolled into town, a magician was to perform at the local theatre. The long awaited day finally arrived and upon buying a ticket to the show, he found the theatre filled to capacity. Magical Miracles were performed one after another, followed by thunderous applause. He had come to the revelation ""this was it!"". The spectacle of live performance mixed with the mysteries of the unknown was too much to pass up. He decided ""this is the life I want to have and I will be the happiest man on Earth... I will find myself a wife and we will travel and perform a magic and vaudeville show."" 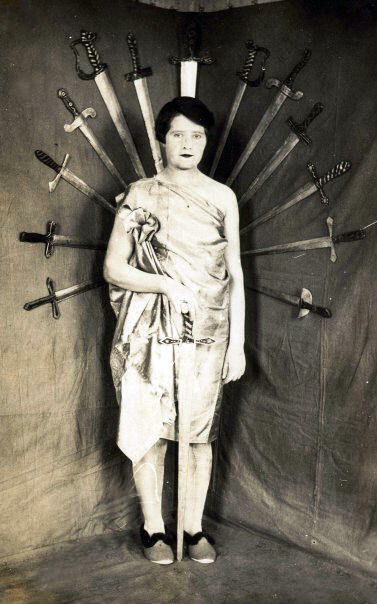 While travelling throughout Canada in the early 20th century, many settlers were superstitious. 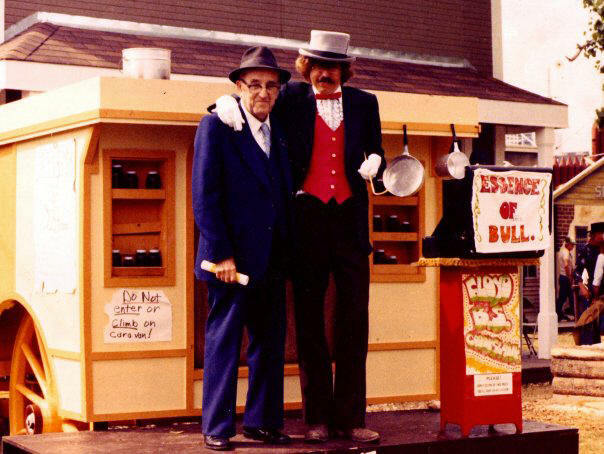 When Prof Lewchuk performed magic and sideshow feats, many people thought that he must be working in league with the devil. It was not unusual to have many people in the audience ' cross themselves" after a feat was done. Fear and Superstitions ranked high among Canadian Pioneers but there was always sold out shows. Weird tales would take shape as Prof Lewchuk's Midway and Shows entered their town. Old timers still recall stories that followed each act. After watching Lewchuk's masterful performances in round-eyed wonder, they would gather in little knots to discuss what they thought they had seen. Some confided that on their way to the theatre they had seen black cats also heading that way. 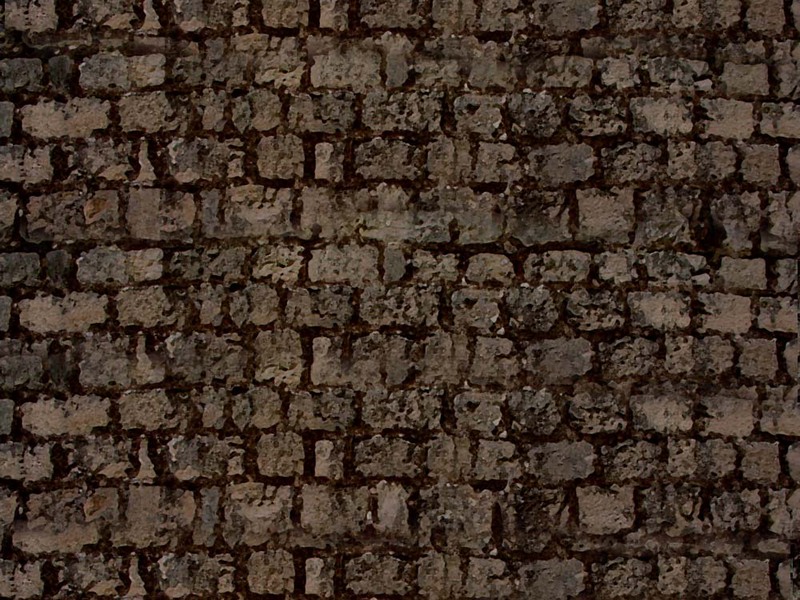 An old lady, who saw the performance at Gorlitz, swore she saw a black devil sporting a long tail sitting on the chimney. All were certain Lewchuk had a "devil under his armpit" - an old Ukrainian belief that, if a person wanted his own personal incubus to do his bidding, all he had to do was take one of those miniature first effort eggs laid by a young hen, put it under his arm pit and wait a period of nine months when the egg was supposed to hatch a tiny devil ready to obey his master. Others saw devils under tables and in around props. While his acts awed them, most of his fellow countrymen also feared Lewchuk with a religious fervour. Well, one day Nick went to see a carnival and became interested in some of the rides. He got to thinking, why not build a ride and take it on the road with the shows. The idea went into full gear in the early forties and such was the beginning of the first Ukrainian owned travelling midway. It started with a simple Aeroplane Ride and a small trailer to sell potato chips. But the main attraction was the large tent where he displayed a freak of nature, a stuffed two-headed calf and a wax reproduction of the man who shot President Lincoln. During this time he subscribed to a midway magazine called The Billboard, and came across the Schmidgall Museum up for sale in Peoria Ill. Nick purchased all of the freaks, but the purchase caused some problems. It took a lot of elbow grease and time to set up the tent in every town. And so Nick designed and Built a 32 foot long walk through trailer. The freaks were thus permanently displayed and it eliminated unnecessary handling. This was the largest freak exhibit of its kind. The profit earned during the summer tours was turned back, each year, into the midway. 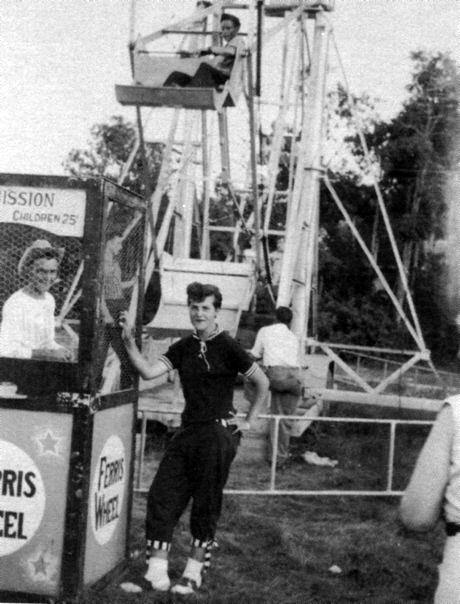 Eventually the midway consisted of 5 major rides all constructed by Nick and the Family. Nicks ability to attack an idea from every angle, helped in creating some of the most important innovations in Carnival history. Today we look at the merry-go-round and take for granted that it has always been as it is today. This is not so, back in the early 20th century the Merry-go-Round was simply wooden horses and loveseats that went in a continuous circle... but Nicks love for equestrian riding got him to thinking there was something lacking. So he created the mechanism that made the horses move up and down which was the advent of the bobbing horse merry-go-round. 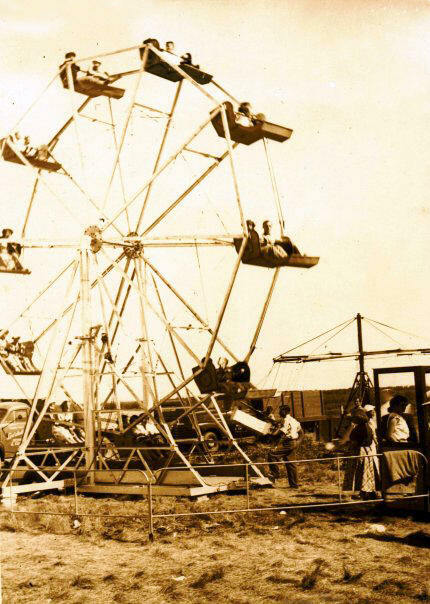 All Ferris Wheels in the past were made of wood and built upright. The problem with this was travelling through the Prairie Provinces was that the wind would pick up and blow them over, splintering them into irreparable piles of rubble. Nick designed a 45-foot Ferris Wheel on a trailer base made of steel. That could be folded in half and this brought on the advent of trailer based rides. One of Nick's most famous contributions to carnival history was the invention of the teacup ride as seen in Disneyland. With rides also came live exotic animal shows. Lewchuk's Midway and Shows carried a great monkey act called, Monkey Business! Monkey Shines!, where the monkeys were dressed and acted like humans. There were dancing bears, learned Goats [an act to which the goat could do math by the clomping of its hoof, coinciding with numeric equations], trained dogs, horses, and even wild bores! And of course there were the big cats, a Lynx, and Ocelot, and the majestic Lions. 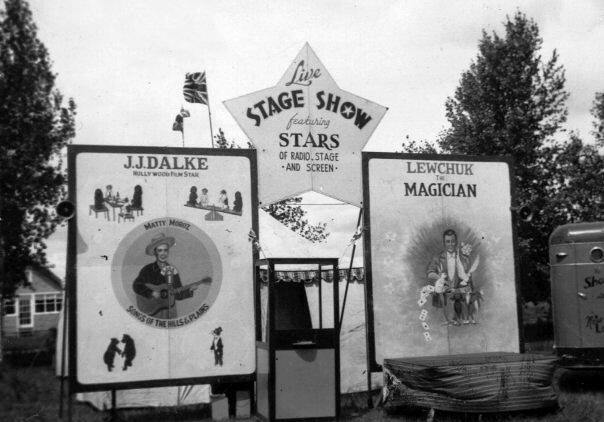 Over the years many side show acts worked on Professor Lewchuk's Midway and Shows, some of these included Hollywood film star JJ Dalke and his trained dogs, also R. Stoneman's Trained animal acts featuring "Sparky" [trained wonder horse] and "Billy" [trick goat]. And throughout all of this Nick created and performed a new two and a half hour show yearly. In 1959, there was even a royal visit by Queen Elizabeth and Prince Philip at the midway! As time wore on Nick decided to slow down and ended up opening a stationary tourist attraction on June 5th, 1963 in Canora Sask. it was simply called the "Fun Spot". This soon would become the end to his travelling completely as his wife of 52 years, Anastasia, passed away in 1968, and a major point of strength and support had left his life. It wasn't until the fall of 1979 at the age of 83, that Nick would become ambitious again. During this time the question of a tourist attraction arose and after some discussion by the Canora Chamber of Commerce, a motion was passed to ask the public to come up with submissions for an idea for a Canora Attraction. Once again the enigmatic wheels in Lewcuks head began to turn and after a few night of insomnia Nick came up with a great idea. He could build a 25 foot sculpture of a woman in traditional Ukrainian costume holding a tray with a vial of salt and kolach [a braided Ukrainian bread] which is a customary method of greeting used by Slavics around the world. The statue was to be called Lesia, in memory of a famous female icon from the Ukraine's past. The Chamber of Commerce loved the idea and plans were set into motion immediately to begin construction. On a rainy day on September 3rd 1980 at 2pm Governor General Edward Schreyer performed the Official unveiling ceremony. The statue can still be seen as you enter Canora! On July 26 1989, in midsummer, Nicholas Paul Lewchuk passed away. April 30, 1896 - July 26 1989. The history of Scott McClelland is slowly being written...until the full story is compiled we are proud to present a NEW article that was showcased on 'Sideshow World' in the month of March 2004. This interview is a good retrospect of Scott's career...but there is more to come! The interview was conducted by Derek Rose...and it is the most in depth interview of Scott's career to date. The Ferris Wheel my grandfather built. 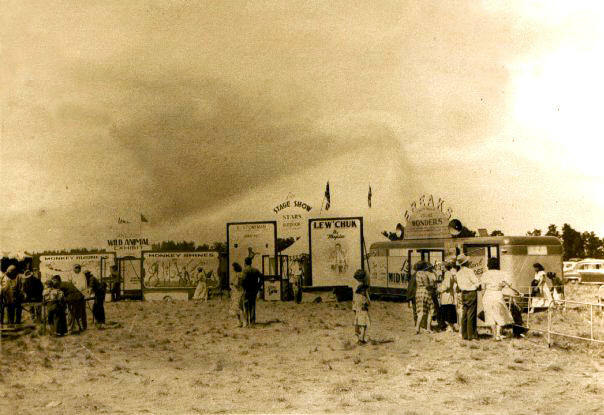 My Favorite pic of Grandpa's Midway and Shows. 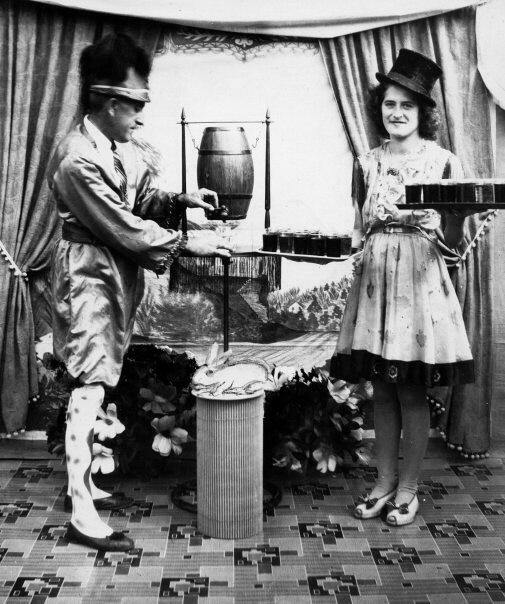 This was the REAL 'Carnivale' of the 1930's. The Home on Wheels... waaay before there was any Motorhomes and Winabego's. A picture of my Grandfather in his Favourite costume. Taken when he was 27.